GTA V Tutorail – How to play as a Fish and more Crazy Rumors Solved! So as GTA V is now out for more than a week we tought of getting some good videos together for you folks to check out some of the Rumors going on right now in Los Santos! Read on for the Jetpack Mistery!! 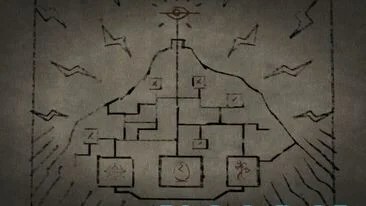 I’m going to use this thread as a collection of all the information we’ve found so far regarding the secret of Mt. Chiliad, whatever that secret may be. Feel free to post any ideas you have about all of this, and remember there are likely to be spoilers here. You’ve been warned! The map appears to be a picture of Mt. 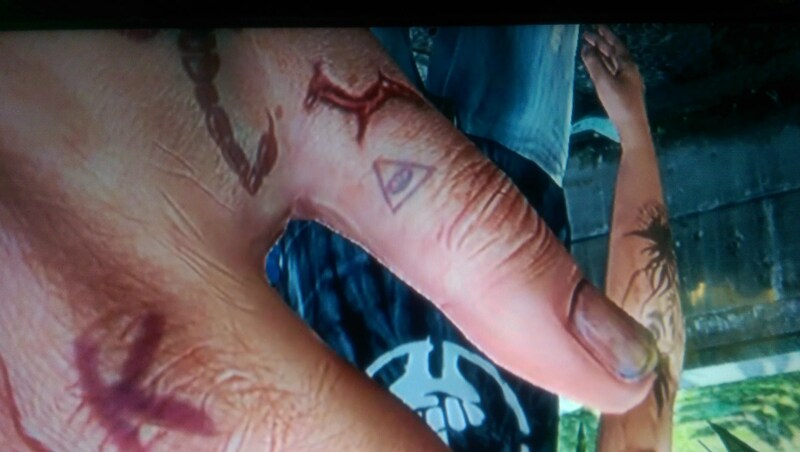 Chiliad with a UFO or an eye at the top, with lightning surrounding it. The lightning is how people figured out it has to be storming for the UFO to appear. On the bottom there is another picture of a UFO, as well as a cracked egg, and what appears to be a stick figure wearing a jetpack. The map appears in “the shed”, aka the lift station at the top of Mt. Chiliad. You can get there by going to the other lift station in Paleto Bay, it’s due west of the peak of Mt. Chiliad, on the coast. There is a little viewing platform on Mt. 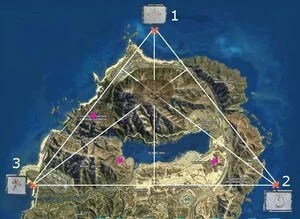 Chiliad that has a few notable things on and around it. First, there is an image of a UFO/eye underneath of it, painted in red. This is also where you need to stand in order to encounter the first UFO sighting. The first sighting occurs while standing on the platform with the two telescopes at the top of Mt. Chiliad. Once the UFO appears, it will stay there as long as you’re on the peak. I’m not sure if it will be there when you come back, you may have to retrigger it. “Solid” just means the UFO is not a hologram like the one on Mt. Chiliad. You can land on them, shoot them, etc. Each UFO seems to have some sort of force field protecting it from harm. When you walk on the UFO, you are actually walking on its force field, not on the UFO itself. They are invisible until you get close enough to them, meaning they have some sort of cloaking device. This makes finding more UFOs a lot harder, unfortunately. This is the same UFO that appears above Mt. Chiliad, but it is solid and can actually be landed on with a helicopter, and can be walked around on. This UFO is at the very highest altitude, right above the “hippy camp”. The hippy camp is a small little park with art made from concrete and paint, with lots of references to UFOs and aliens. It is my belief that this UFO was intended to be the first one found, but was actually found second after the Zancudo one by a member at GTAForums. The fact that it’s above all the alien references and the fact that it’s the same as the one that appears above Mt. Chiliad is what makes me think it was supposed to be the first. Nothing interesting happened when I tried all of that. Special note about the Hippy Camp: The hippy camp is full of references to aliens which may have something to do with interacting with the FIB UFO. There’s a lot more there but I’ll let others check it out. Remember the hippy camp is directly below where the FIB UFO appears. My thoughts: I think we need to get the UFO to abduct us some how, and the clues at the hippy camp are how to trigger it. This was the first solid UFO found. Strange lights appear on a bunker in Ft. Zancudo, starting at around 2 AM. At 3 AM the lights turn all the way on, and the lights spin until about 4 AM and then cut off. The UFO was found by flying directly above the location of the bunker with the lights. Locating the UFO: Simply fly at about 3/4s of the maximum altitude around the marked location in the image above to find the UFO. BONUS VIDEO, REAL GTA V Wild Life Documentary! Previous article How to get your own OculusRift Expierence in under 100$ and play any of your PC Games with Head tracking! Next article Criken’s Quickies: The Amateur Assassin Comedy Video! Does It Matter That PS4 Games Are Higher-Resolution Than Xbox One? How to get your own OculusRift Expierence in under 100$ and play any of your PC Games with Head tracking! Criken’s Quickies: The Amateur Assassin Comedy Video!